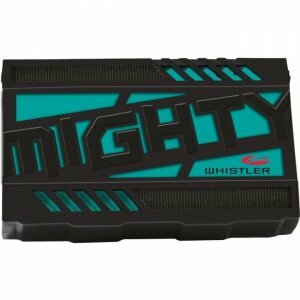 The MIGHTY is for use on a wide variety of 12V single-battery vehicles including 4. 6, & 8 cylinder engines for cars, trucks, SUVs, boats, motorcycles, garden tractors, ATVs and more. 200 starting amps/ 400 peak amps Powerful lithium polymer battery can be recharged hundreds of times Compact design fits conveniently in toolboxes, consoles and glove compartments 5 LED Battery power / charging level indicator Built-in overcharge protection Holds a charge for up to 12 months Provides multiple jump starts from a single charge 2 USB ports (2.1 amp shared) can power and charge phones, tablets, MP3 players, cameras and more. Built-in high-output LED flashlight includes strobe, SOS and emergency beacon flashing patterns. Includes Mighty Jump Starters, Premium Protection Cables, Home AC Adapter, 12V Charger and User Guide.